Painting with Chalk Paint is amazing when you don’t want to spend hours sanding & prepping. But, the thought of chalk painting a crib by hand is too much. 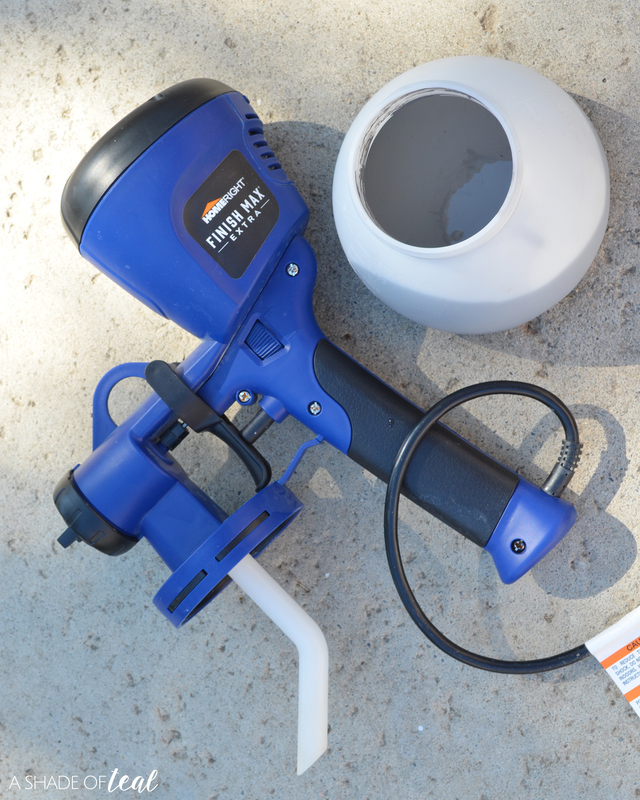 So, why not spray paint your chalk paint! You can see my before above. Since I’m making over my nursery to be for a boy I thought painting it a dark grey would make it look a little more masculine. 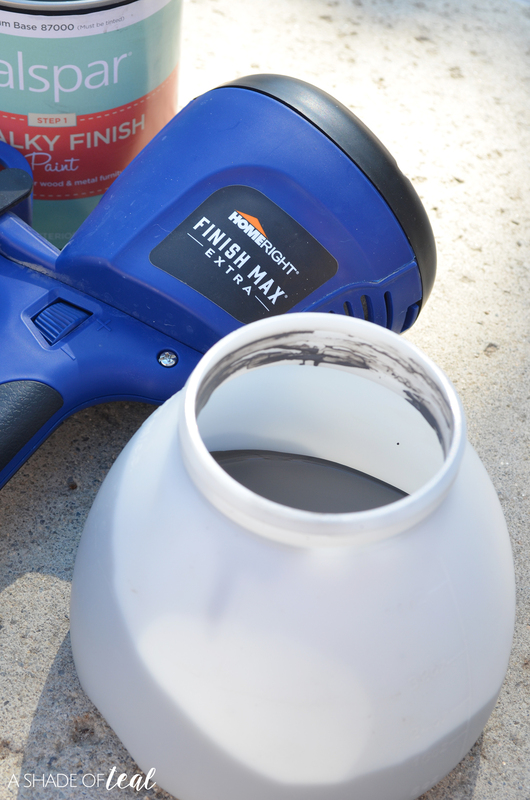 Go check out my entire post over on HomeRight’s Blog here, I’ll show you how to use their Finish Max Super to easily spray paint a crib. 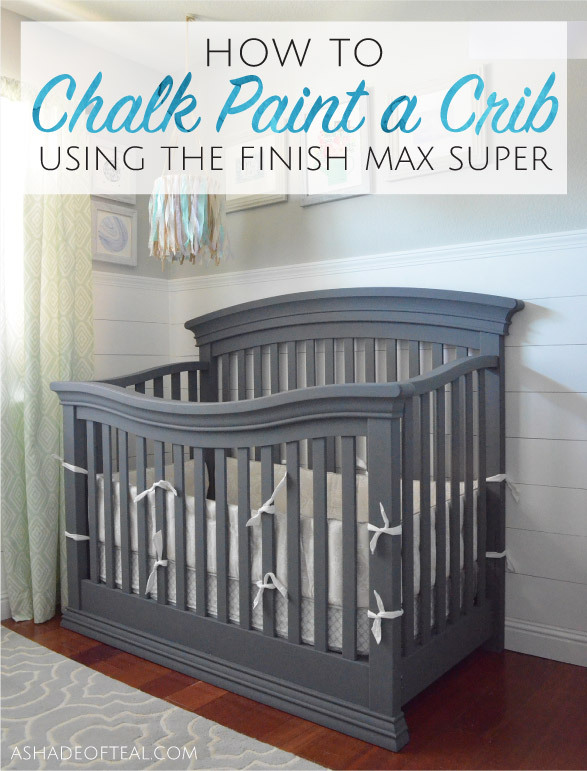 As I mentioned above I used HomeRight’s Finish Max Super to spray the crib with Chalk Paint. 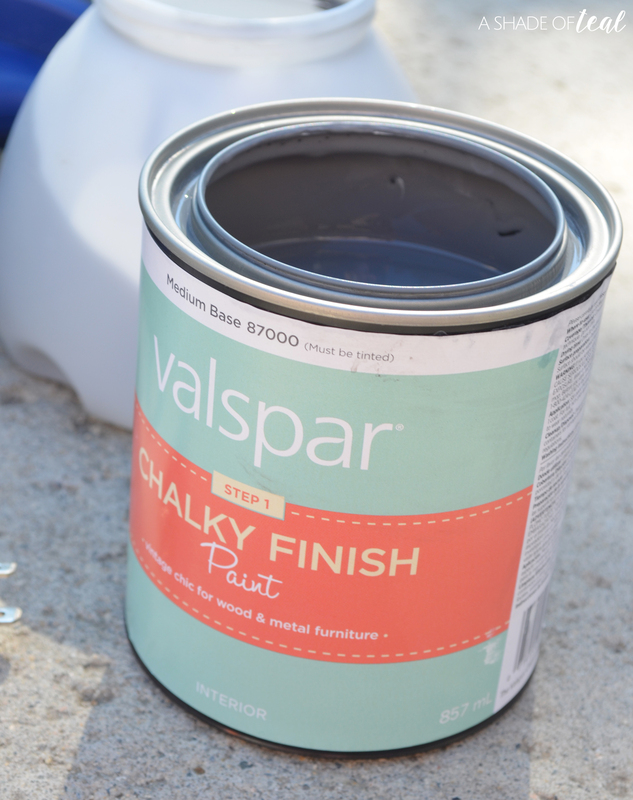 For the paint I used Valspar’s Chalky paint in Opera Gown. Go check out my entire post over on HomeRight’s Blog here, but here’s a sneak peek of the after. 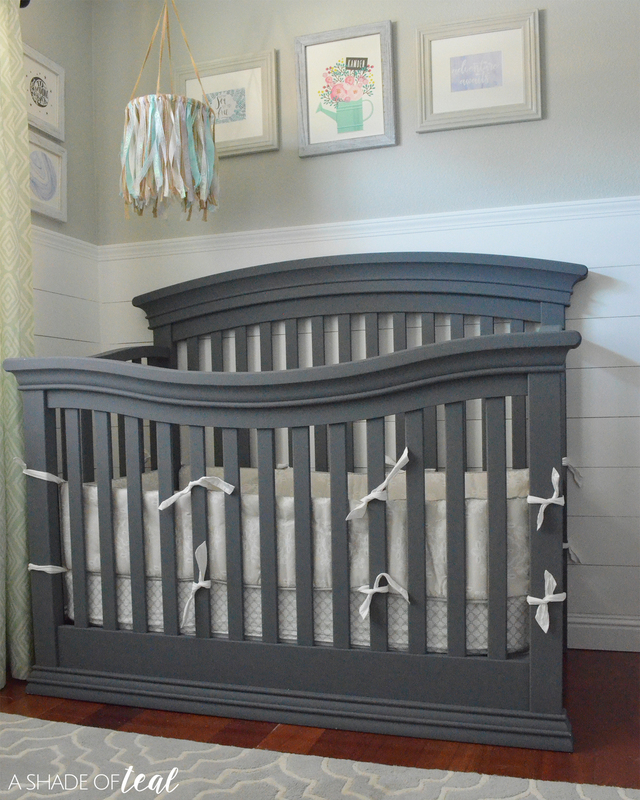 You can also catch up on my One Room Challenge progress and see how the room & crib look today! « Prepared for Adventures with my Pup! Great post! Looks lovely. I have the Finish Max… but not the Super. I bet that works so nicely!